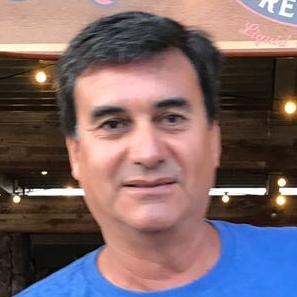 Jr. Pablo Usandizaga 430 Dpto. 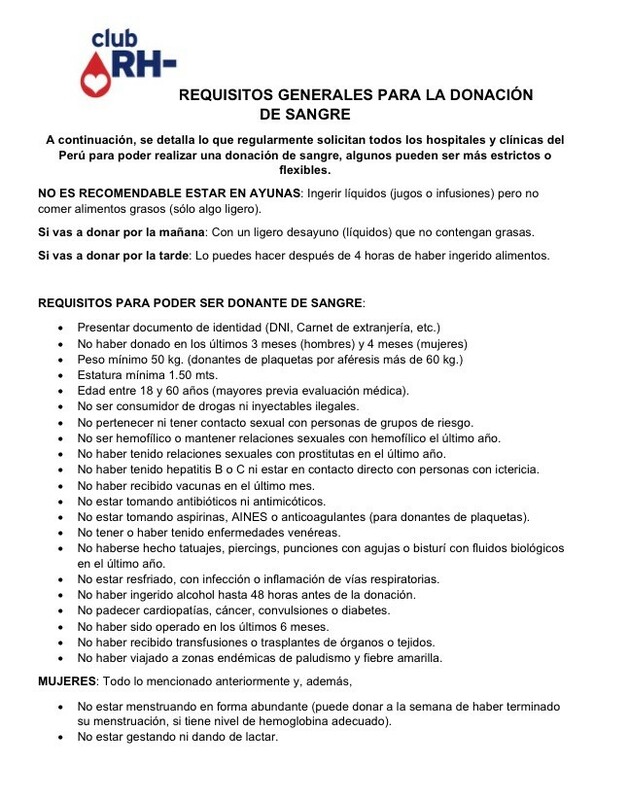 401 San Borja 15037, Lima, Peru. 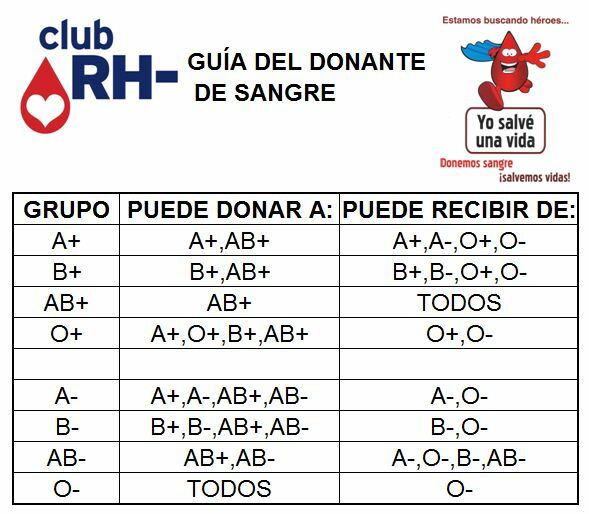 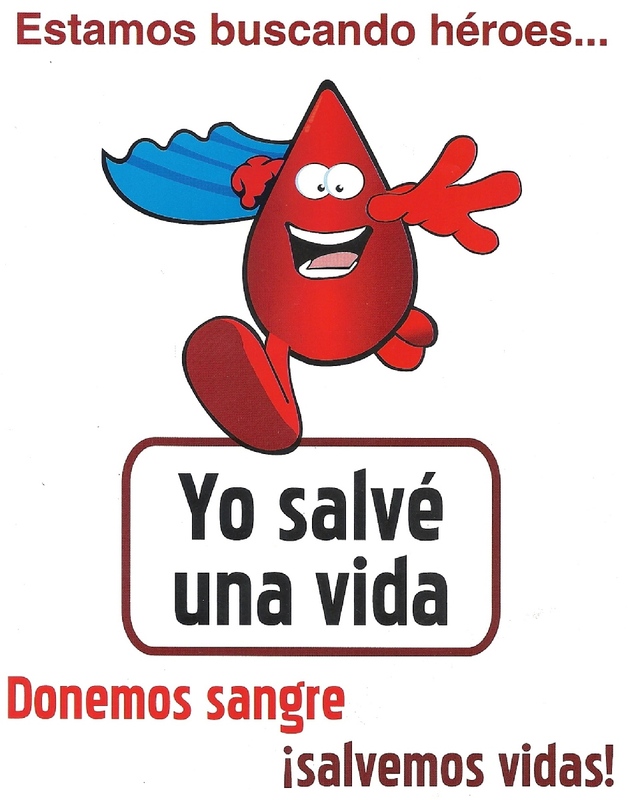 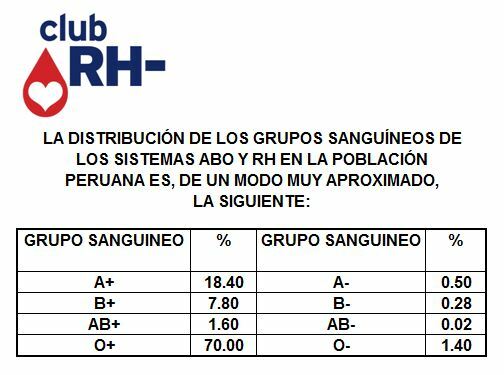 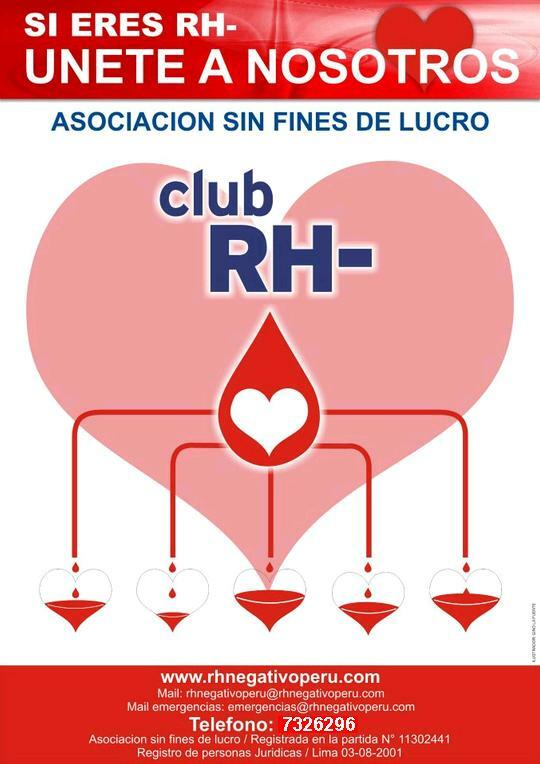 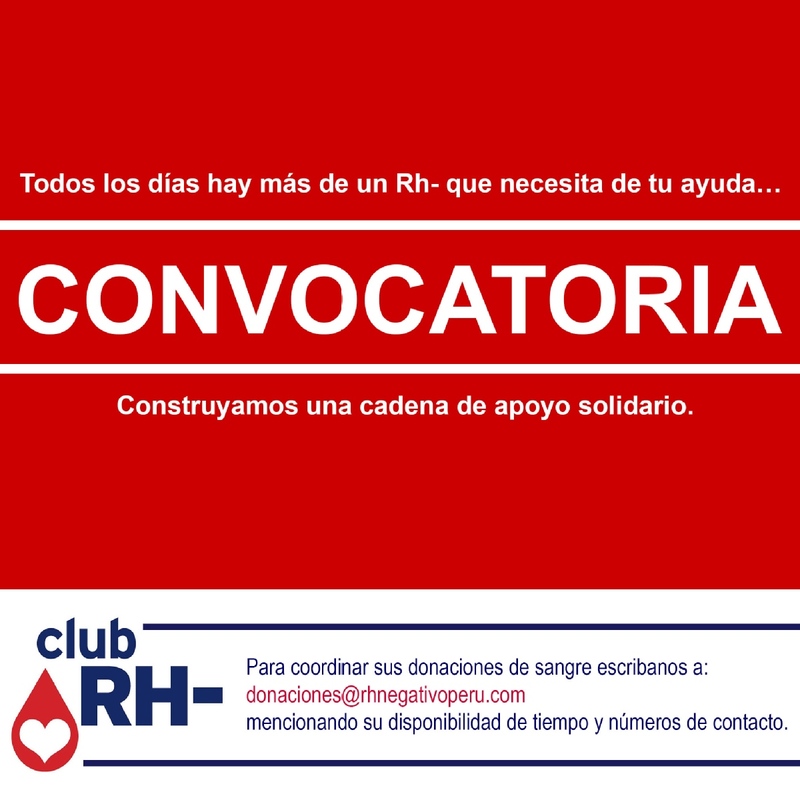 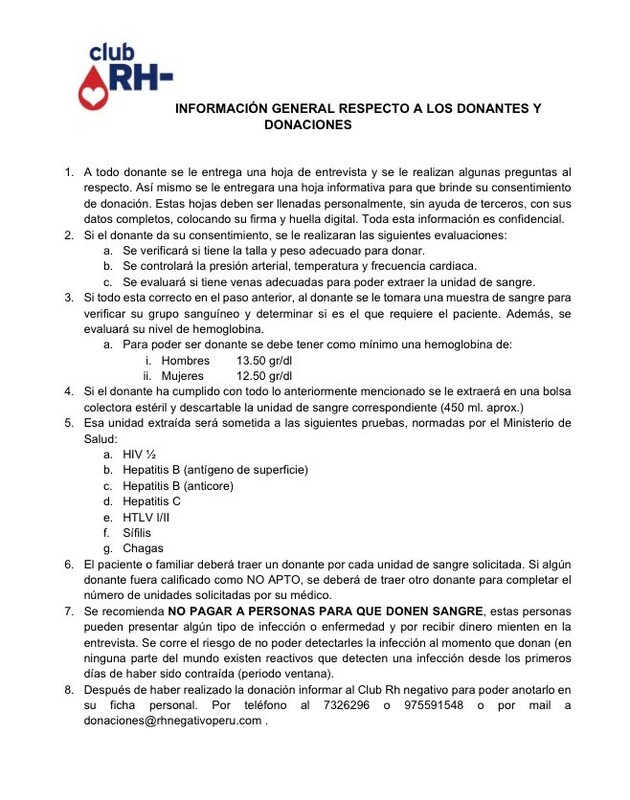 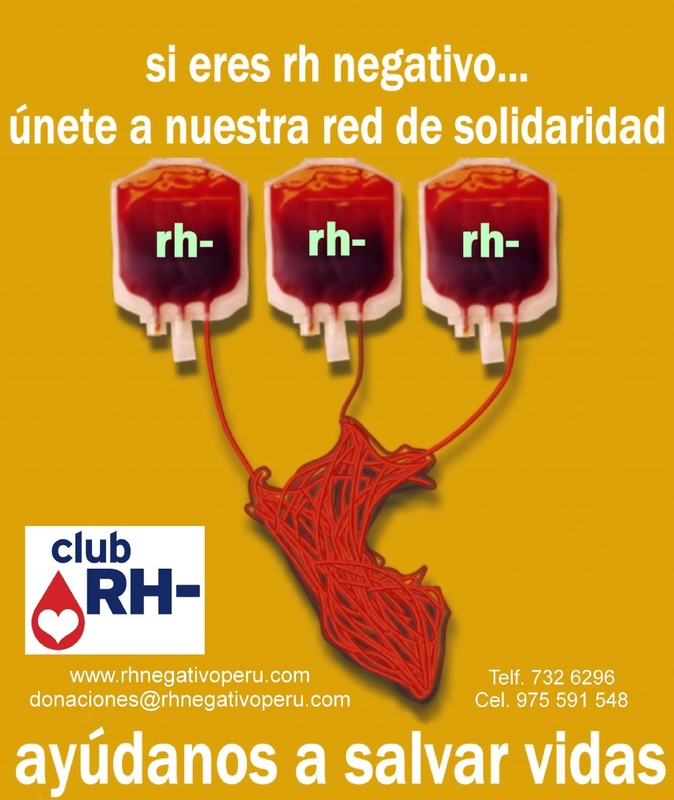 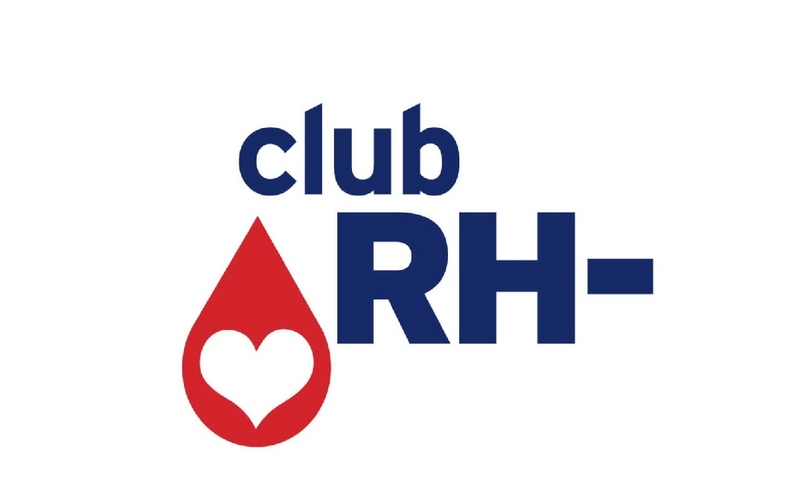 Non-profit civil association that promotes the voluntary donation of blood especially of the Rh negative type since only 2% of the Peruvian population has this type of blood. 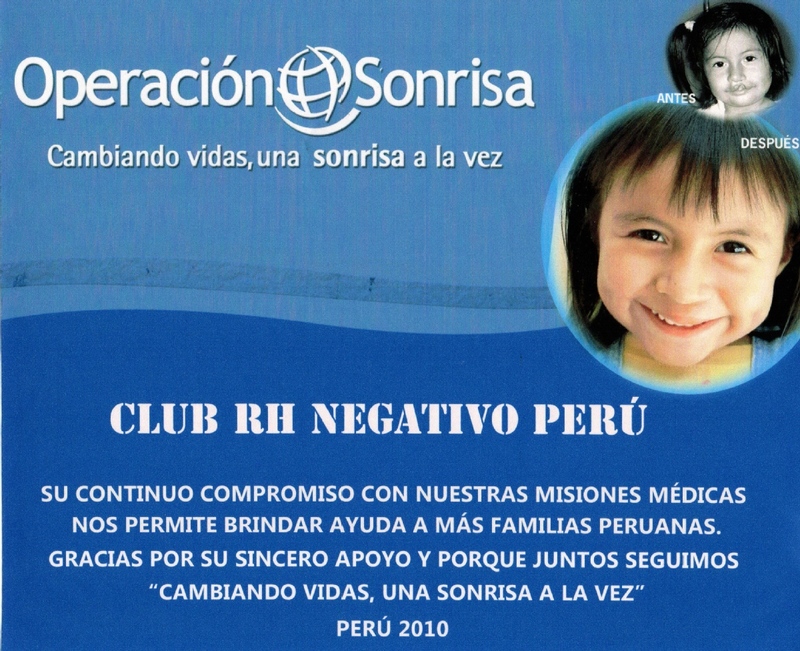  We at Club Rh Negativo would love to hear from you!